Dragons, magic, villains, armies, a dark lord. ABC’s The Quest sounds like something out of Lord of the Rings. Middle Earth has nothing to do with it…except that producers of the movie trilogy are executive producers of this adventure in the fantasy world of Everealm. The show blends fantasy fiction with reality TV in a fully immersive, developed world. Filmed primarily in and around a castle in Austria, The Quest challenges 12 contestants to become the One True Hero, wield the Sunspear, and defeat the dark lord Verlox. Twelve paladins began ABC’s The Quest to discover the One True Hero. Sir Ansgar, played by fan favorite Peter Windhofer, was tasked with preparing them to fight. One by one, challenges brought several paladins’ at a time to risk the banishment vote in front of the enigmatic Fates, who just happen to be sisters of the dark lord Verlox. Here, paladins watch as others face off in the “battle dome” with swords and shields…not quite real, but the paladins said they left bruises. For those of us who’ve followed The Quest all summer, most of us have loved it. It’s had its challenges in ratings, easily attributed to a lack of marketing after a point, but retained a very steady following of around 3 million viewers, including a smaller contingent that formed a strong fanbase called The Quest Army. What makes The Quest so special is the way it tackles the reality TV issue. So often we’re overrun by reality TV programs (name them off in your head) that focus on negative traits, rewarding backstabbing drama, betrayal, lies, sexual themes, and more. Our culture has become so inundated with them, it affects basic interactions on a relational level. Yet, The Quest takes an altogether different approach. It values sacrifice, caring for others, teamwork while promoting the benefits for the individual. Everyone works together to make sure everyone else has the best shot at becoming the hero, even after they continue to vote to “banish” someone in the majestic hall of Fates. Manipulations and betrayals are discouraged, and those that do so are voted off once everyone gets an idea of what’s going on. Yet, nor is anyone truly gone, as the above poster shows. The Quest is about discovering a Hero…but it’s more than that, it’s about discovering heroes in all of its contestants. That theme has leaked out into the fan base with some beautiful effects. Tomorrow, The Quest will air its two hour season finale, which producers and contestants, called paladins, say will be “epic”. Given the quality of the show, the special effects, costuming, the improvisational skills of the cast interacting with contestants, the total “buy-in” of the paladins, the story and mysteries thus far, and the devotion everyone from the producers down has for the show, it’s downright exciting. 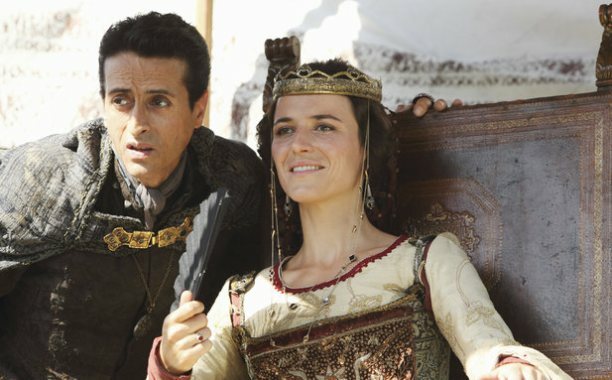 ABC’s The Quest: Fan beloved Marcello Denardo as The Grand Vizier and Susanne Gschwendtner as the charming Queen Ralia. “He called me ‘My Lady’?” Queen Ralia tells The Grand Vizier while watching a tournament of skill. ABC’s The Quest. 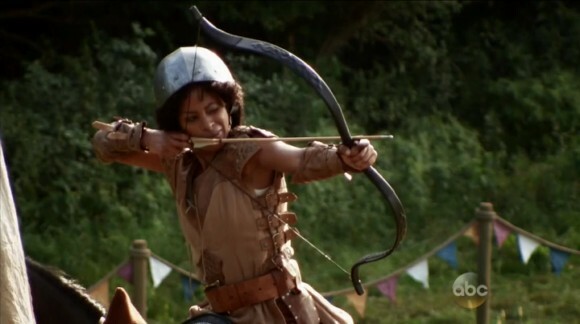 Paladin Jasmine readies a shot on top of her steed during the tournament challenge. Certainly, as one of five reasons we named for why it’s good to be a geek, the Quest doesn’t just live up to its potential, it thrives. This is Part One of a two part post, “A Journey In and Outside of Everealm: ABC’s The Quest“. Check back tomorrow on how The Quest calls out the hero in audiences. The Quest season finale airs tomorrow, Thursday, at 8/7c, 6pt, and even later in Hawaii, God bless. Then on Friday 9/8c, join myself and other fans from The Quest Army by watching a live stream on Youtube of our Google+ hangout, featuring Executive Producers Jane Fleming and Mark Ordesky for the first half hour. 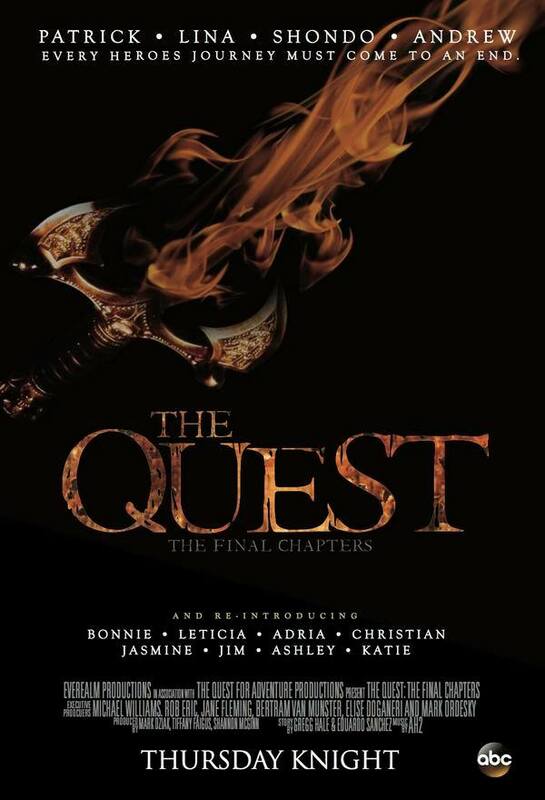 Tweet or Facebook us your questions under #The Quest #TheQuestArmy and take part in the fun. ABC’s The Quest finale poster, designed by Producer Rob Eric.